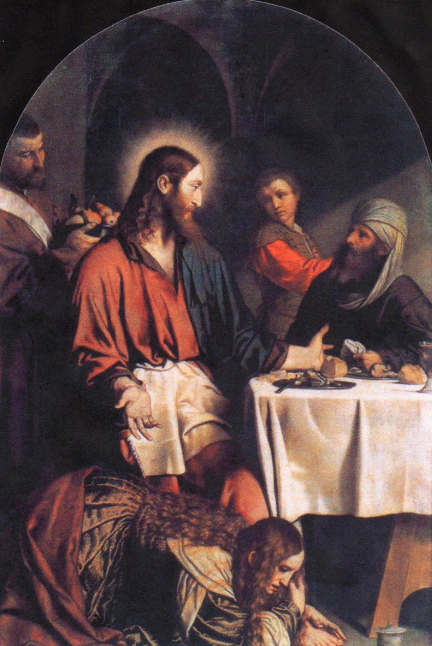 Simon, a Pharisee, invited Christ to dinner. 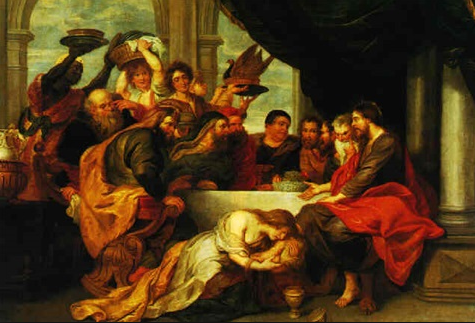 Dining, in ancient Jewish society, was less a private affair and more a communal event. The windows were typically open to provide relief from the stifling heat emanating from the open fires in the kitchen and the effects of the blazing sun. With the windows open there was hardly a barrier between those dining and the normal foot traffic of those walking down the narrow streets. This dinner at Simon’s house was no exception. Bedsides, the people looked forward to the entertaining exchanges between Jesus and the Pharisees. So now they had dinner theater. In the back of this growing throng outside Simon’s house was a woman who desperately wanted to talk to the Savior. All those in the crowd knew it. Simon the Pharisee knew it. So great were her sins, she had become a social pariah. Because of her many poor choices, she was shunned from being allowed inside the walls of decent society. Undeterred by the press of the crowd, she struggled to make her way to Simon’s home enduring the jeers and taunts of those who despised what she had become. At last, she came face to face with Jesus. While she had prepared for this meeting, she was thrown off her game by the horror she experienced wending her way into Simon’s house. The disapproving crowd glared at her. Simon and the other Pharisees were judging her. When her eyes met the Savior’s, her guilt and self-loathing peaked. 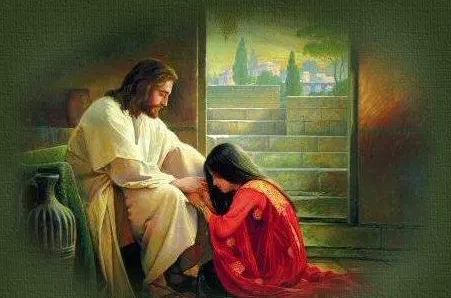 She fell to the ground and wept at His feet. She knew she was lost. There is was no hope for one such as her. At first, Christ paid little attention. Instead, He spoke directly to Simon. He told of a creditor who had two debtors. One owed a lot, the other a little. Because of their poor decisions, neither could pay their debt. Yet, the merciful creditor forgave them both. Jesus asked Simon who loved the creditor most. Simon correctly replied the debtor who was forgiven the larger debt would have the greater love. Her sins, which are many, are forgiven because she loved much. Thy faith hath saved thee; go in peace. Mortality is filled with barriers; the eternities are not. The realm of our loving God is inviting and open to all. He provided all of us the gift of repentance to bring to pass our immortality and eternal life. I fear we are too easily prone to see sin as a barrier between us and God. The story of Simon and the sinful woman shows me God views our shortcomings not with disgust, rather as opportunities – a way for us to experience His perfect love. Because of Christ’s loving atonement, we all have unlimited access to the gift of repentance – regardless of our sins.